When the current order of RTGs will be delivered, the port’s Konecranes RTG fleet will increase to 178. 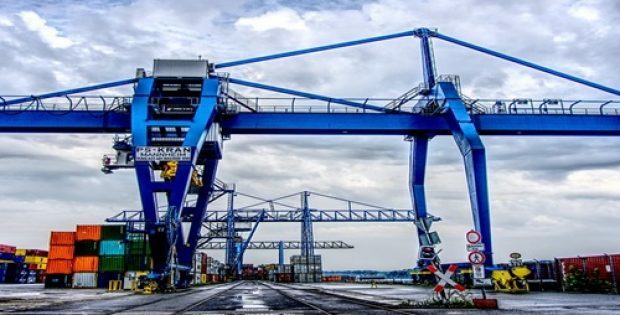 Georgia Ports Authority (GPA) of U.S. recently placed an order for a fleet of 20 Konecranes RTGs for Port of Savannah, Georgia. When the cranes become operational, the port will be operating 178 Konecranes RTGs. The order was booked in the first quarter by Konecranes. For the record, GPA is the owner and operator of the Port of Savannah. According to reliable sources, it is the largest and fast-growing container terminal in North America with a current fleet of 158 RTG cranes which is reported to be the largest in the U.S. Moreover, 12 more RTGs are scheduled to be delivered during 2019. Chris Novack who is currently the Senior Director of Engineering and Facilities Maintenance at GPA was reported to say that GPA is enthusiastic about continuing the strategic partnership by buying twenty more RTGs from Konecranes. According to Novack, the quality of Konecranes equipment as well as the technical support provided by them is the best in the industry. Sources close to the matter reported Jussi Suhonen, Sales Director, Port Solutions, Regional Americas, Konecranes to say that Savannah Harbor Expansion Project is progressing as per schedule and that the port’s positive effect on the economies of Georgia and on the complete U.S. eastern seaboard is growing. Suhonen added that GPA was the first to receive a delivery of Konecranes RTG in 1995. With the delivery of the current order of RTGs, the port’s Konecranes RTG fleet will increase to 178. Reportedly, the ordered 20 RTGs are diesel electric machines and possess cable reel readiness. These high-performance machines are equipped with 16-wheels, 50 tons of lifting capacity, stacking height of 1 over 5 and stacking width of six plus truck lane. Moreover, the machines have an Active Load Control system designed by Konecranes, Auto-steering feature and Konecranes’ TRUCONNECT® remote monitoring system.